4oh!4, envisioned as a place where folks of various backgrounds can talk about matters of spirituality over a simple meal, meets for the first time Sunday afternoon at 4:04 p.m.
“I’d love it to be an interfaith and ecumenical gathering where no one feels the pressure of right belief or worry about who’s right or wrong,” explains Tim Graves, the pastor of the Condon United Church of Christ. 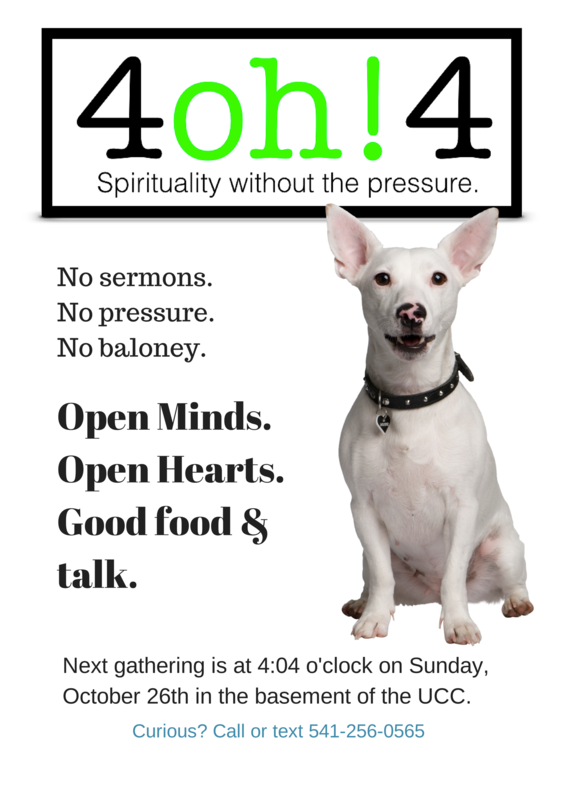 The Facebook page of 4oh!4 describes it as “spirituality without pressure: no sermons, no pressure, no baloney.” For more information visithttp://www.facebook.com/4oh4Condon, email 4oh4Condon@gmail.com, or call or text 541-256-0565. The United Church of Christ will not hold morning services on Sunday, October 26. Instead members and friends are encouraged to attend the 4oh!4 gathering at 4:04 p.m. Sunday afternoon in the basement of the UCC. What if we did this in Condon for our local food pantry? Anton Cobb likes to be productive. The 32-year-old salesman spends most of his lunch hours walking the streets of downtown Portland, where he works, or squeezing in some heftier exercise at the gym. 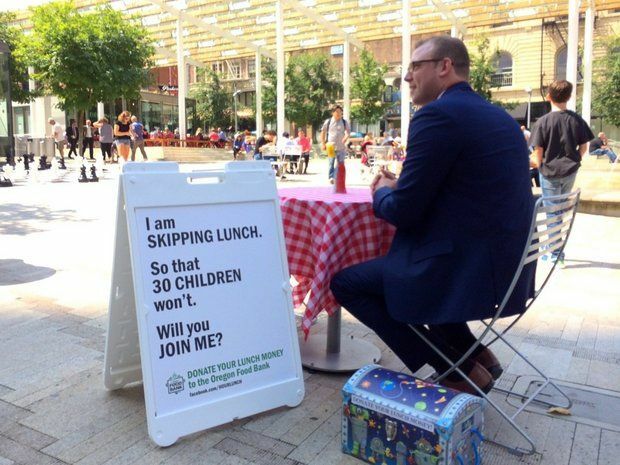 Portland man skips his lunch to raise money, awareness for Oregon Food Bank Anton Cobb, 32, sits alone in Director’s Park during his lunch hour every Wednesday at a table decorated with a red and white checkered tablecloth. But on Wednesdays he sits. He doesn’t catch up on emails or missed phone calls. 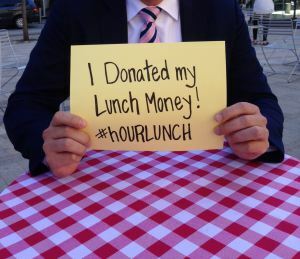 He doesn’t even eat lunch. It’s his most productive lunch hour of the week. He sits alone in Director Park at a table he decorates with a red and white checkered tablecloth. Atop the table a yellow flower stands up in a dress-shaped vase, which he said was painted by a friend’s niece.